Markets continued rising this week and ended Friday at new highs. 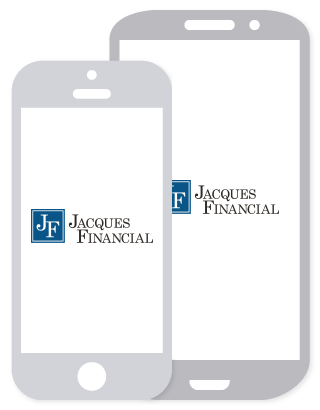 The S&P 500 rose 0.6%, the Dow Jones Industrial Average pushed 0.7% higher, and the Nasdaq Composite rose 1.3%. The U.S. 10-year Treasury yield rose to 2.14%, up from below 1.7% just a few weeks ago. This is how you say “kick the can down the road” in Greek, which is exactly what happened on Friday when Greece and other members of the European Union struck a deal for a four-month extension to the current $195 billion bailout agreement. Investors cheered since the agreement removed concerns of an immediate “Grexit;” however, doubts about the country’s ability to service its debts remain. The terms of the agreement require the Greek government to submit a list of budget cuts early this week to be reviewed by European Union finance ministers. 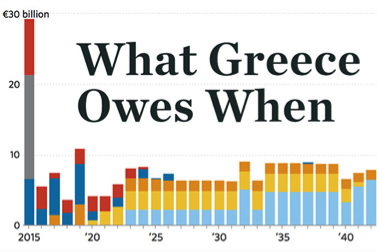 If approved, Greece will receive the next tranche of bailout money (~$8 billion) that it has relied on for the past five years. If not, the country could run out of cash within a month. We suspect financial markets could become tense again over this issue when the extended deadline, four months from now, approaches. Last week, Wal-Mart announced plans to hike the minimum hourly rate it pays its U.S. employees to $10, or 38% above the current federal minimum wage. A few economists have noted that a move like this from the notoriously frugal Arkansas-based retailer signals a tightening labor market. Wal-Mart’s move comes on the heels of a similar one by Starbucks, Aetna and the Gap. Even though unemployment has improved to 5.7%, wage growth has been nearly nonexistent over the past five years. Perhaps moves like these from Wal-Mart and others is signaling the beginning of wage growth that, coupled with savings from lower gasoline prices, could provide continued momentum for the improving domestic economy. A familiar culprit during the financial crisis has returned, but in a slightly different form. 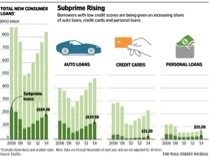 Subprime lending, or loans to consumers with credit scores below 640, have reached the highest level since the beginning of the financial crisis. While mortgages made up the bulk of subprime loans before the financial crisis, car loans have recently taken the pole position. Auto-related originations topped $129 billion through November 2014, more than two-thirds of subprime loan volume, according to Equifax. It’s not all about cars though. A growing number of venture-backed, online peer-to-peer lenders are filling a void left vacant as large banks lend less to riskier borrowers. On the surface, the resurgence of subprime lending could be a positive for the economy since it signals confidence from both borrowers and lenders. However, we all know how this movie ends if an unforeseen economic shock is encountered. The market for wearable technology just got red hot, and I’m not talking about the pending debut of the iWatch. This past Sunday, a runner from the Japanese ketchup and juice maker, Kagome, ran the Tokyo marathon wearing a six pound robotic backpack that automatically dispenses tomatoes to eat on the run. 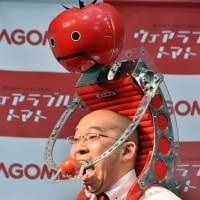 Called the Tomatan, the robot fits over a runner’s shoulders and tugging a lever in the foot activates robotic arms that catch a tomato from the dispensing chute and hold it front of the runner’s mouth. The race was won by Ethopian, Endeshaw Negesse, who posted a time of two hours and six minutes. No word on how Kagome runner, Shigenori Suzuki, fared.